A container for all my views with excerpts from technology, travel, films, books, kannada, friends and other interests. I am Thejesh GN, friends call me Thej. Why India is so vulnerable to Cyber Attacks? 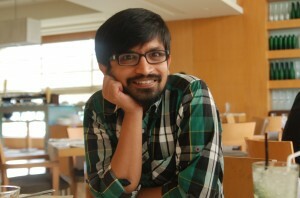 Thejesh GN (ತೇಜೇಶ್ ಜಿ.ಎನ್) “Thej” is an Independent Technologist, Hacker, Maker, Traveler, Blogger, InfoActivist, Open data and Open internet enthusiast from Bangalore, India. He loves experimenting with all things life and hence some times he is called hacker and other times duct tape. You can read more about him here. There are many ways to subscribe to this blog. Email is probably the best. (C) Thejesh GN.The views expressed on this site are mine (Thejesh GN) alone and do not necessarily reflect the views of my employer. Please read the terms and conditions before reading or commenting on this blog. © Thejesh GN. Some Rights Reserved. Please read T&M.